First of all , I would like to say what an amazing past few days I have had. To experience every paw , every bark , every soft touch of fur. Every type of dog there is to know in the world we live in today. 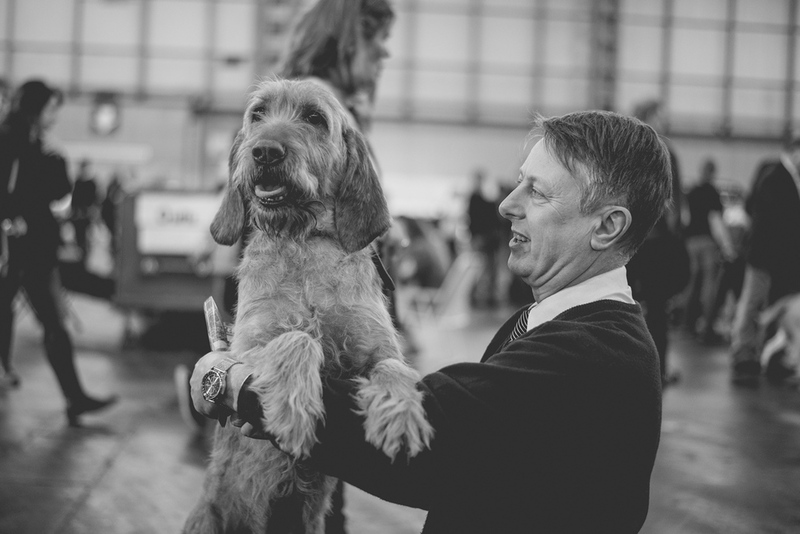 I have had the luxury to have been photographing Crufts , the world phenomena for dogs and there owners. For these last four days I have been covering the events of the obedience ring for obedience uk. This has shown me and show the viewers of obedience that every dog can learn new tricks , every dog has its own personalities and its own temperament. However with my obedience work well under way , I realised that the possibilities were endless , with this amount of dogs at my feet the image possibilities were too good to miss. So with my creative opportunities in front of me , With just one camera and one lens. I set out to create my own personal set of images. Walking through the crufts halls , something came apparent to me as a artist. The relationship between humans and the dog. The way humans act and react around dogs is something of amazement. Everything from when they sit together , to when they eat together to even when they sleep together. Dogs have characteristics , dogs have love and dogs are like humans.